Militants fired 59 mortar bombs. 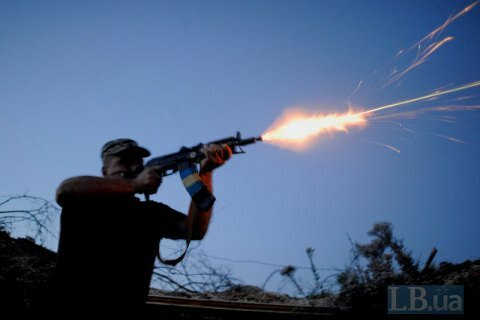 Two Ukrainian servicemen were killed in Donbas on 6 April as a result of shelling by pro-Russian militants. "The Russian occupying troops fired at the positions of Joint Forces units 14 times. On seven occasions, they used weapons banned by the Minsk agreements, having fired 59 mortar bombs of 120 mm and 82 mm," the Joint Forces Operation HQ said. The enemy used infantry fighting vehicle guns, grenade launchers, heavy machine guns and small arms. Intelligence said that three occupiers were killed and one wounded on 6 April. On 5 April, a separatist sniper killed a Ukrainian serviceman. Two more soldiers were wounded.